Is there anything Mitt Romney believes in? I tried to find out. You often hear it said that Republican presidential candidate Mitt Romney doesn’t have any principles. But is there anyone who walks this Earth unencumbered by any principles—none, kaput, zero? I thought it would be an interesting challenge to try to identify at least one conviction that Romney has maintained, unaltered and uncorrupted, through the years. 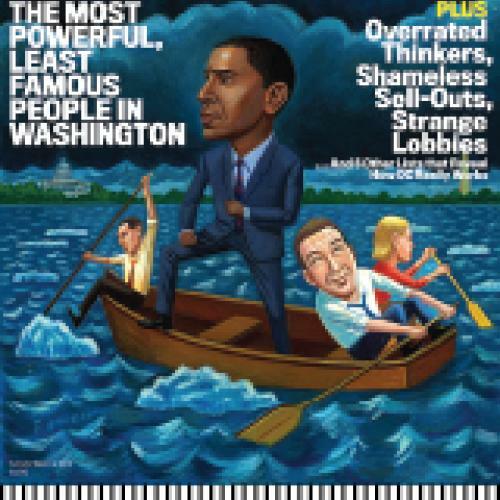 My first stop was a May 2007 Time magazine piece headlined, “WHAT ROMNEY BELIEVES.” Hallelujah, I thought. But the piece never actually said what Romney believes. It just detailed his various flip-flops on gun control, gay rights, etc. Romney’s contortions on abortion over the years have been so elaborate that to document them properly would require the services of a theologian, a political scientist, a physician, and five or six lawyers. Romney, it turns out, even flip-flopped on his name. Born Willard Mitt Romney (after family friend J. Willard Marriott, founder of the restaurant and hotel chain), he went by Billy for a few years, then decided he preferred to be called Mitt. My next stop was Romney’s 2010 book, No Apology: The Case for American Greatness. I got it as an e-book so I could search it. Here are some phrases you won’t find in the book: “core belief,” “bedrock principle,” “fundamental conviction,” and “I have always believed.” Romney caught some bad press when it was discovered that, in the paperback version, he eliminated from his discussion of the Massachusetts health care law the assertion, “We can accomplish the same thing for everyone in the country,” presumably because that made him sound like he supported Obamacare. Obamacare was modeled fairly closely on the Massachusetts law, and Romney has taken some heat about that from conservatives. In response, Romney argues that Romneycare’s “individual mandate” requiring everyone to buy health insurance, though wise policy in Massachusetts, would be intolerable at the federal level. I left messages for half a dozen people who have worked closely with Romney over the years in business and politics. If anybody knew what Romney believed in, I figured it would be them. And surely they’d be anxious to dispel the common impression that Romney’s convictions were as changeable as a summer breeze. But none of them phoned back. Some of these beliefs are vivid enough to invite objection from the GOP’s Tea Party wing. It’s somewhat risqué to defend regulation even in the abstract or to acknowledge human agency in creating climate change (though in the latter instance Romney quickly followed up by writing, “I do not support radical feel-good policies like a unilateral U.S. cap-and-trade mandate”). Such assertions lend credence to the theory that Romney is a crypto-moderate who would govern the United States in much the same way he governed Massachusetts. But “moderate” is a label that describes temperament at least as much as ideology. One lesson of the George W. Bush years was that accommodating instincts could easily lead to a very conservative presidency, since those demanding accommodation within the GOP are often extremely right-wing. And the Republican spectrum has only shifted even further rightward since Bush left the White House. At the end of my exercise, I prepared to conclude that, though Romney possessed identifiable beliefs, I still couldn’t find any North Star that guided him over the course of his entire life—or that would predict how he would behave as president. 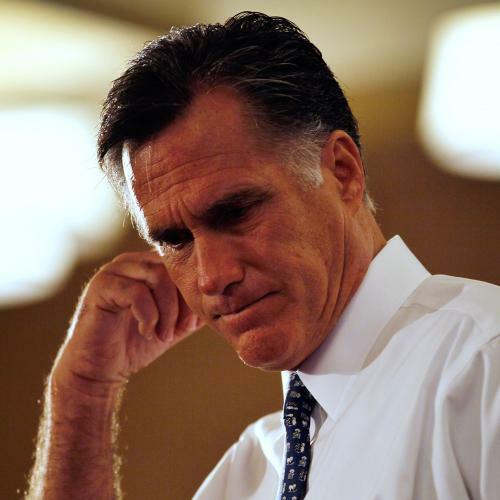 But, just as I was about to lose hope, I read in a Boston Globe profile from June 2007 that Romney in his early teens fixated on something about Edwin Jones, his father’s top aide as Detroit stake president of the Mormon Church. “He sat up front, to the side at a desk, keeping records,” Romney recalled. “I remember that he had very dark hair, that it was quite shiny, and that you could see it in distinct comb lines from front to back. Have you looked at my hair? Yep, it’s just like his was some 40 years ago.” Eureka. Timothy Noah is a senior editor at The New Republic. This article appeared in the November 3, 2011, issue of the magazine.